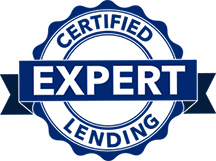 Certified Lending Expert (CLE) Designation | Lending Solutions Consulting, Inc. LEARN. GROW. ADVANCE AS A CLE. The Certified Lending Expert designation (CLE) is a symbol of trust and a mark of excellence. It offers the most complete knowledge and training available to credit union professionals today. Through a unique partnership, LSCI and California Southern University have developed an executive level curriculum that enables credit union leaders to take the next step in their career advancement. Develop your edge and gain the skills needed to lay the foundation for a successful career path...Get started today!